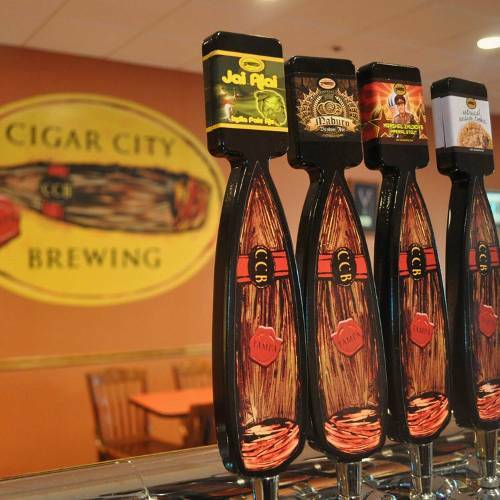 Joey Redner, the owner of Tampa craft brewery Cigar City Brewing, has called this “crony capitalism,” and has threatened to move his operation out of Florida. And these Florida Beer Wholesaler Association member owners know full well that every single day their trucks will pull out of their warehouse laden with beer from states that allow retail sales and self-distribution and the inherent advantages that come with it. If distributor members of the FBWA realize their legislative ambitions, they will knowingly and happily put the Florida breweries they represent at a severe competitive disadvantage. All so they can make a few more dollars. But bill sponsor Sen. Kelli Stargel claims that the point of SB 1714 is to preserve the post-Prohibition-era “three tier system,” which maintains stark separations between producers, distributers, and retailers. Unsurprisingly, this bill garnered the support of the Florida Beer Wholesalers Association – which has contributed $65,600 to the reelection campaigns of many in the Florida senate, according to the Tampa Bay Times. The Times goes on to report that Sen. Stargel has herself collected $6,000 from beer distributers for her personal 2016 reelection bid. Perhaps Sen. Stargel expected the breweries to become involved in the process in a similar manner. In debate yesterday, the larger issues surrounding this bill came to the forefront. We live in America where we relish competition. Why would we pass any legislation that would stifle competition? That would enhance economic benefit for one segment of this industry and maybe completely obliterate it for the small business person? Supporters retorted that the 2,000 keg mark was “big enough” to invite regulation*. It was left unclear why “regulation” — or Stargel’s “clarity” — requires favoring one side of an economic arrangement at the direct expense of the other. The bill passed 30-10. The tale of SB 1714 has revealed many intertwining threads of protectionism and paternalism operating in Florida politics. If our institutions are used to pick economic winners and losers, openings for corruption will multiply. If the political power is there, then economic power will attempt to capture it in the form of campaign contributions. Power breeds corruption. It is unavoidable. *Cigar City Brewing sells 100,000 kegs a year, and claims that this bill will cost the company $175,000 in profit.